A Sense of Identity is a HOTT film project. Jess and Dave Smith filmed Travellers talking about their lives and memories. The film premiered at The Story Telling Centre, Edinburgh in June 2017. We wanted the film to be seen by a wider audience so we’ve taken it out on tour. 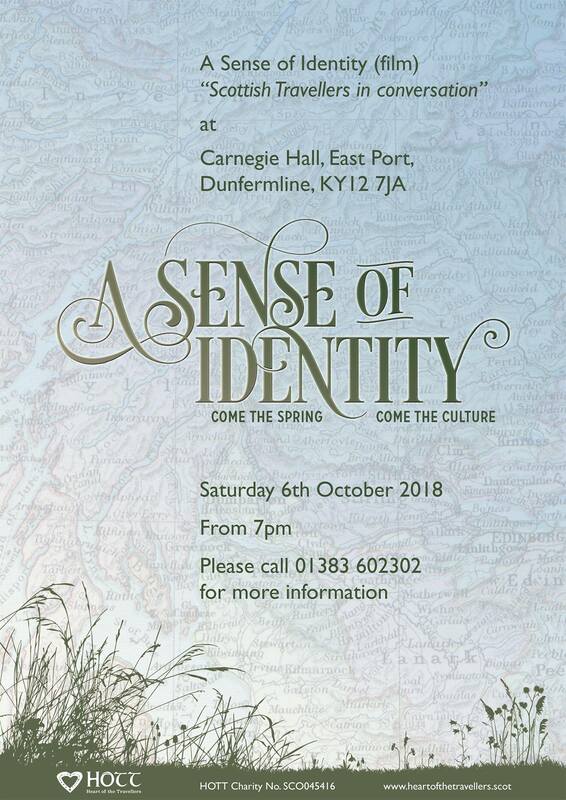 A Sense of Identity is the winner of The Folklore Society’s Non-Print Media Award 2017-2018. 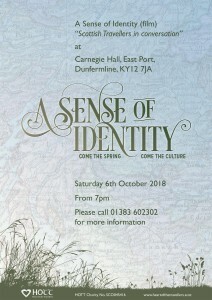 Excited to be showing our film ‘SENSE OF IDENTITY’ in Carnegie Hall, Sat, Oct 6th, 7pm. We’re delighted to be a part of Article 12 in Scotland’s History Month and to exhibit our work at Edinburgh’s Dunard Library. Free admission – donations welcome. The tour started in Ferryden, Angus – home of Betsy Whyte. There was an exhibition over the two days of the weekend of 10-11th Feb. The film was shown on the Saturday night, which was then followed by a wee concert. After some initial fretting that we hadn’t advertised it enough and maybe folk wouldn’t come, we were absolutely delighted to be jam packed! There will be film show followed by Q&A at the YesHub, Inverness, 7pm. (This is a small venue limited to 30 spaces.) Includes light refreshments. Free admission – donations welcome. 7pm start. Venue details: YesHub, 47 Huntly St, Inverness IV3 5HR. Venue details: The Elphinstone Institute, MacRobert Building, 581 King Street, Aberdeen AB24 5UA. 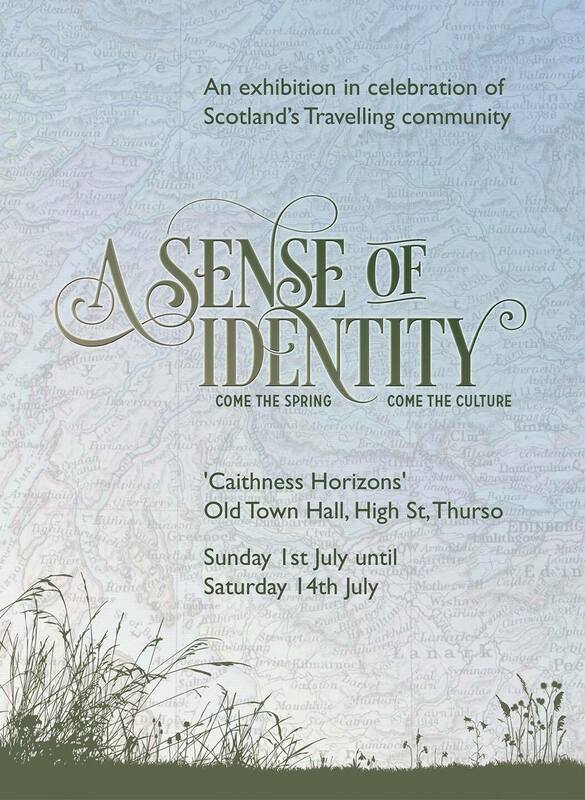 Venue details: The Hub – Dunard Library, Castlehill, Edinburgh, EH1 2NE. 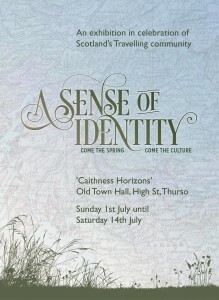 All content displayed on this website is property of The Heart of the Travellers, Registered Charity SCO045416.